Posted in Happenings on April 1, 2019 by Jen Lewis . Dutch Apple Dinner Theatre concert series welcomes Branson on the Road on April 14 and 15, 2019. With over 20 years of experience performing at Branson’s top theatres on the famous 76 Country Music Boulevard, the show delivers the Branson traditions of good, clean, family fun wherever they go! It is the first national touring show named for the famous city. 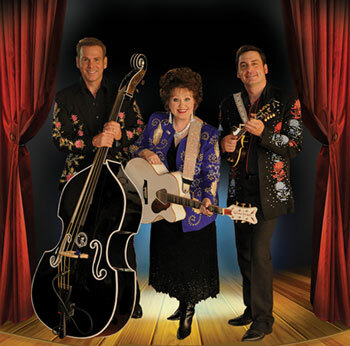 Branson on the Road brings together guitar, mandolin, banjo, upright slap bass, rhinestone costumes, hilarious comedy and great classic country, bluegrass, rockabilly and gospel music. It is the kind of show most people thought was long gone in this day of highly produced music and special effects. In the tradition of traveling road shows of the Grand Ole Opry glory days, this Louisiana Hayride keeps you toe tapping, laughing and smiling. Audiences can expect great music and plenty of hilarious comedy every step of the way. Forget your troubles and have a good time with this limited engagement of Branson on the Road at Dutch Apple Dinner Theatre April 14 and 15, 2019. There are matinee and evening performances both Sunday, April 14 and Monday, April 15. The dinner and show ticket price is $67. A limited number of show only seats are available for $42. Tickets are now on sale and can be reserved by calling (717) 898-1900, ordering online at DutchApple.com or by stopping at the box office at 510 Centerville Rd in Lancaster. DutchCrafters is the destination for solid wood, American-made, Amish handcrafted custom furniture. We've built solid relationships with Amish woodworkers to bring you the widest selection of Amish-made products available online. Whether you like mid-century modern or formal style, reclaimed or fine cherry wood, you will find heirloom-quality furniture at DutchCrafters. Visit website.